Featuring a diverse beachfront community Atlantic Beach is a hidden gem along Florida's coast. From its beautiful quiet beaches to bustling nightlife at its town center to Mayport Naval Station, there is a wide array of things to do in Atlantic Beach and many unique places to call home. 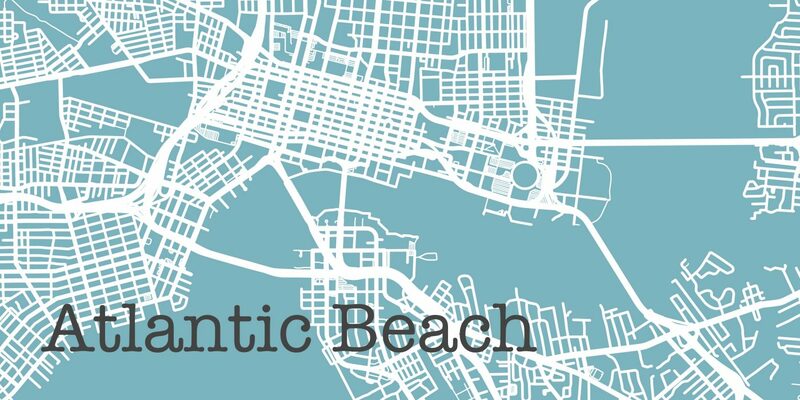 Starting at A1A you'll find the Atlantic Beach town center that features restaurants, shopping, and nightlife all near multiple low-rise hotels and unique local inspired shops. This is the busiest part of Atlantic Beach with many people flocking to the town center for festivals and daily shopping. Heading north from there the community immediately turns quiet residential ranging from spectacular oceanfront mansions, stylish beach bungalows and new construction at the Atlantic Beach Country Club. One thing that makes living in this area so nice is the limited parking for beach access. While there are many beach access points parking spaces are hard to come by giving the community a "locals only" feel. West of this enclave is Mayport that features more affordable homes within biking distance of the beach. The area is largely influenced by the Mayport Naval Station and features nearby schools and shopping all while being so close to the beach you won't believe the affordability of the homes. At the north end of the Atlantic Beach community is one of Jacksonville's largest parks. Hanna Park is a gorgeous tree covered canopy of bike trails, lakes, playgrounds, splash parks and of course pristine beaches. If you are looking to go to the beach but maybe need nearby facilities then Hanna Park is an affordable option at $5 per car. Camping is also available at the park. Come and explore this quiet community in one of Jacksonville's most desirable neighborhoods.